With a variety of restaurants, the Biopôle campus offers everything from your morning cup of coffee, to a quick bite between meetings, to a relaxing lunch with colleagues. In a well lit contemporary environment, furnished in a modern style, the chef Alain Favre and his team offer you stylish cuisine that is fresh and colourful, along with local specialities revisited and a whole spectrum of flavours to satisfy every need. The restaurant “Croisettes” offers daily a different menu between CHF 16.90 and CHF 20.90 as well as a menu card which is changing regularly with seasonal dishes. During the year we organize several weeks with culinary specialties and there is a wonderful terrace which allows us to offer grill parties during the summer season. The restaurant opens only for lunch time between 11 am and 3 pm. With a pre-reservation it is also possible to use this place for special events such as Christmas meal, appetizers or cocktail parties. The restaurant “La Ferme”is a self-service restaurant that offers daily, three different menus for CHF 12.30. The restaurant opens for lunch time between 11 am and 2 pm. Tasty, fresh, healthy, durable : Laure and her team welcome you at the Ven’Art Restaurant from Monday to Friday from 7.30 am to 16.15 pm located in the CSS building (Vennes). Every day, three main courses including a vegetarian menu as well as a salad buffet are proposed from 11.30 am to 13.15 pm to eat there or to take-away. Chez Bilia offers a Kashmiri cuisine from Northern India. The dishes are made with meat or vegetables and cooked with different spices. All dishes are homemade with fresh products. Their flavors allow customers to travel while being adapted to European palates. Burger Folies offers 4 classics burgers , and regularly offers burgers of the month, created and developed by the team Folies Burgers according to the desires and expectations of the customers! Burgers are made exclusively with fresh and local products. Petite Hanna offers Hungarian specialties. 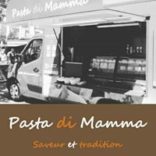 Pasta di Mamma offers a variety of fresh pasta.